September has already begun and the days are becoming cooler. This is especially visible during the night and in the mornings as the temperatures are starting to fall below 10 degrees Celsius and the fog appears regularly. Those that already installed new uPVC windows and doors do not feel the change so much, but people with old and used windows are already thinking about heating. But the material also plays an important part. 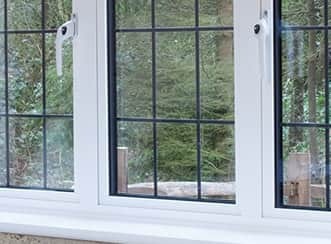 The fact is that uPVC windows and uPVC doors are in fact cheaper to manufacture and less demanding than timber windows for instance. This gives the manufacturers more opportunities to research and implement new solutions and ideas into the new uPVC windows and doors and perhaps this is a privilege that the makers of wooden windows do not have. Considering that the fall is almost here, you should take advantage of the last warm days of the year. When you are having new windows installed you must take into consideration that this takes a few days and during this period your windows will be mostly open. It is certainly more pleasant to do this when the weather is still warm than when it becomes cold and even freezing. You will also save some money by installing new uPVC windows and doors quickly because you will be able to push the heating season a few weeks and save some money because of it.